Ask Jennifer Adams: How long should that bathroom tile last? Tile can last a long time if installed and maintained well. Q: We live in a 1950s ranch home with two original bathrooms and one added later. 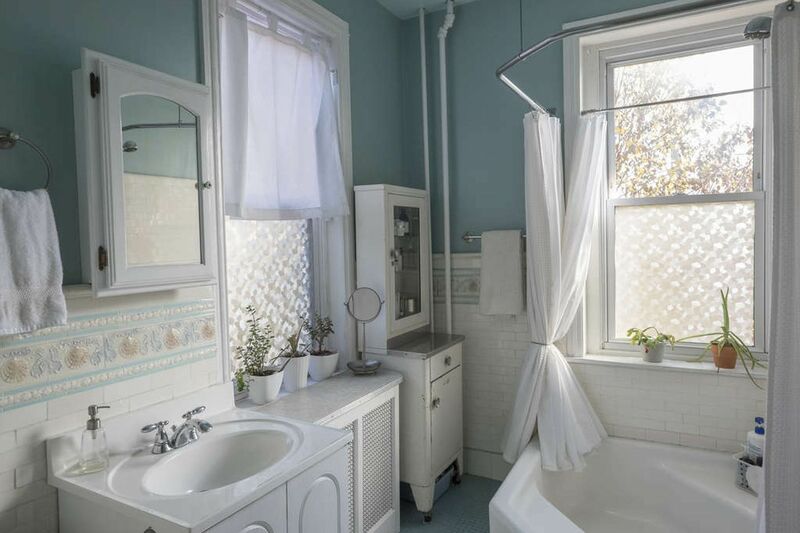 Both original bathrooms have lovely original tile on the floors and partway up the walls, including a fully tiled shower that is in perfect condition. We remodeled the newer bathroom only 8 years ago, and now the tile, especially in the shower, is in such terrible condition, we already have to redo it. The corners are literally crumbling away. I thought tile was permanent. How can some bathrooms last well over 60 years and another not even 10? A: Tile is a beautiful and historically durable choice going back centuries. Ancient artisans used tile in bathhouses, pools, and for walls and floors, many of which are still around today! Moving closer to our own era, once bathrooms were typically added to the inside of houses around the turn of the century (the 1800s going into the 1900s), tile was a popular choice because of its durability and water resistance. When problems arise, it isn’t usually with the tile itself, but with the grout or mortar and the quality of what is behind the tile. Up until the 1950s and early ’60s, houses were built with old-growth wood, larger framing lumber (that measured 2 inches x 4 inches), and tile was “mud-set” or “thickset” over a smooth concrete bed applied to the floor and walls. The framing and subfloors in bathrooms was often overbuilt to support the weight and prevent that “mud” from cracking. Today, tile is “thinset.” It’s backed with thinner, lighter materials such as cement board, or even regular wallboard, in non-wet areas to save money. Usually, if the flooring or wall framing flexes, the tiles themselves don’t crack, but the grout does. In a shower or tub surround, this allows water to get behind the tile and cause problems. Also, the chemicals in cleaning products and even our own soap and shampoo can wear away grout and damage the finish on some tiles. You can get a quality thinset or an old-school thickset installation today, but it may cost more, and you will have to find a very skilled installer. As long as you take very good care of your tile (and grout) by sealing and cleaning it according to your installer’s instructions, your new tile should last a long time. Have a design dilemma? Jennifer Adams is an award-winning designer, TV personality and author of the book “Love Coming Home: Transform Your Environment. Transform Your Life.” Send your questions to AskJennifer@JenniferAdams.com or for more design ideas, visit Jennifer’s blog on her website at www.jenniferadams.com.